Cybercrime is a massive 21st century problem and small businesses face a huge hurdle to effectively protect themselves and their customers, compared to larger firms. Budgets are tight and not fully understanding the risks means that gaps can easily be left. 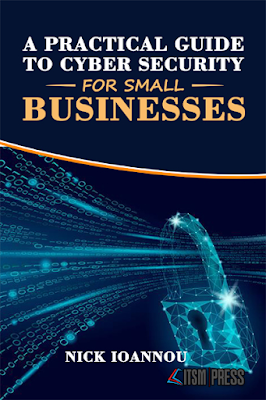 This practical guide acts like a pocket cyber security consultant, helping you build a layered cyber security strategy using a mixture of free and paid for services. Just because you are a small business, it doesn’t mean you need to be a victim of cybercrime. ▪ Is cybersecurity awareness training worth the bother?